ARQANA begins 2019 by strengthening its sales and marketing teams with the arrival of Mathieu Legars and Marta Kubicka. With 14 years of professional experience in Ireland behind him, including 12 years at Coolmore, Mathieu Legars joins the Bloodstock team led by Ludovic Cornuel. It is a return to his roots for the 34-year-old Frenchman born in Normandy, who started digging his toe in the racing industry as a teenager. At just 20 years old, having graduated in Agricultural Animal Productions, he chose to travel to Ireland where he worked for 18 months at Camas Park Stud, alternating between sales preparation and being responsible for the National Hunt training yard. He was then hired at Coolmore, first in the foaling unit and then to break-in yearlings, before becoming head of coverings and stallions in 2006, where he notably spent several breeding seasons in New Zealand and Argentina alongside shuttling stallions. In 2011, he succeeded Mathieu Alex as Coolmore’s representative in France, a position that brought him to work closely with French breeders and be directly involved in the marketing and commercial strategy of the operation. Mathieu will take up his new position at ARQANA on February 1st and will participate in all the bloodstock team’s missions: inspection and selection of horses for the sales, advice to buyers, as well as prospecting in France and abroad. Previously Director of Communication and Development, Alix Choppin is moving into a new role entirely dedicated to business development. She will be responsible for prospecting the owners and investors of tomorrow in the Thoroughbred sector. She will also be in charge of ARQANA’s activities in new sectors including The Auction, a sale of show jumping embryos that will take place on February 15. These two aspects are also expected to generate synergies. As a result, Marta Kubicka is joining ARQANA as Marketing and Communication Director. 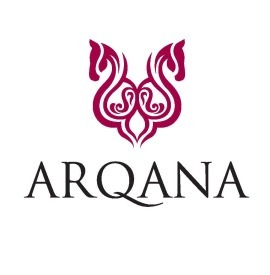 Her mission will be to design and set to music ARQANA’s entire strategy in these two areas, with the objectives of supporting commercial initiatives, developing ARQANA’s brand image and maximising buyers and vendors’ satisfaction. She will be supported by an experienced team dedicated to advertising, press relations, digital communication, event organisation, customer services and the creation and management of the ARQANA Racing Club syndicates. Marta is 32 years old and was born in Poland. After a bilingual French/Polish baccalaureate and an engineer degree from Arts et Metiers Paris Tech, she worked for seven years at Air Liquide as Site Manager and Commercial Technical Manager, a position that led her to supervise teams and work in production units in South Korea, French Guiana, Brazil, Qatar, China and throughout Europe. However, her passion for horses caught up with her and in 2017 she decided on a career change with a Master in Equine Science and Business (MESB) from AgroSup Dijon. During this course, she did some work experience with Al Shaqab’s Haras de Bouquetot, the Royal Cavalry of Oman and then spent several months with France Galop working as a commercial project manager at Deauville racecourse.